Deciding what to wear on a regular day is difficult enough but it can be especially stressful during the holidays! 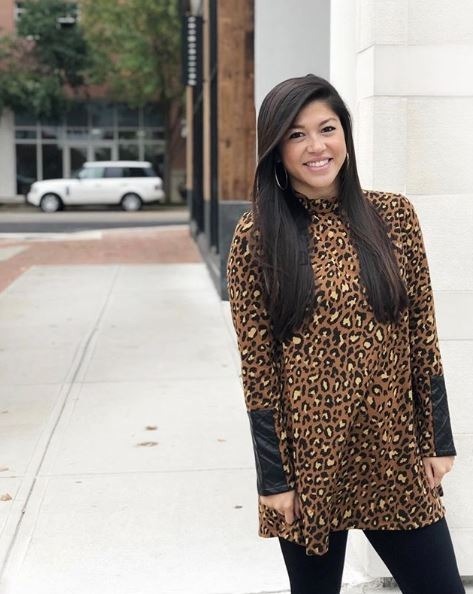 The experts at Monkee’s of Virginia Beach have provided 5 full-proof looks sure to impress at Thanksgiving this year. Comfort is key!! 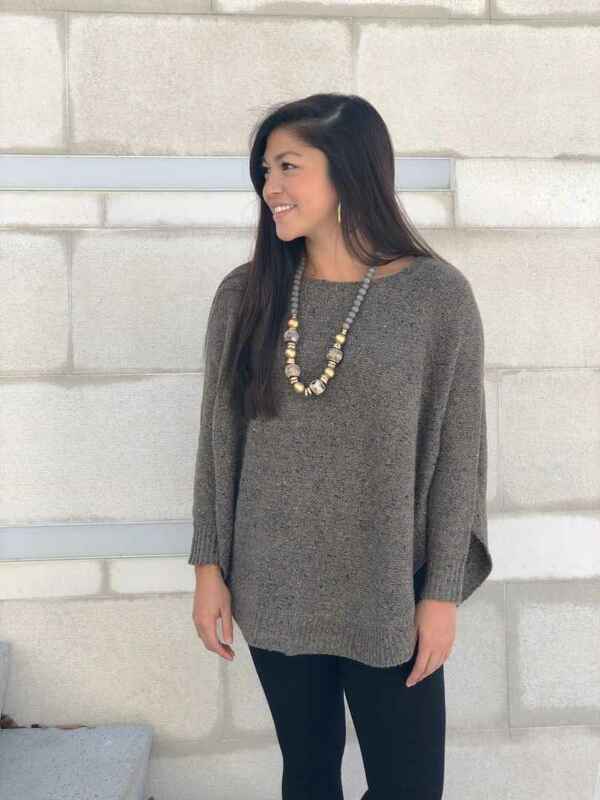 Pair this April Marin Capelet with some comfy leggings and dress it up with hoops and the Anchor Beads necklace. As we all know, it’s important to make a good impression when meeting the parents for the first time. We recommend wearing a look that is both trendy and classic. This Tyler Boe Crissy Capelet is just that! Leopard print will never go out of style and the leather details gives it an edgy flare. Spending the holidays with your second family calls for a casual but fashion forward look. 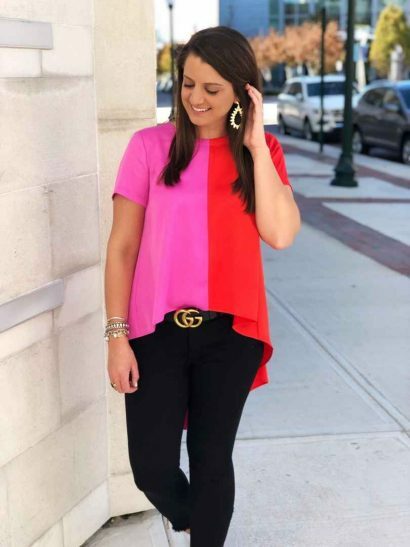 Pair this Crosby Colorblock Shawna top with Sheila Fajl’s new statement earrings and a great pair of black jeans! Family Reunions – one warm and cozy house packed with relatives you haven’t seen years! You’ll want to dress to impress – one way to do that? Fur vests! 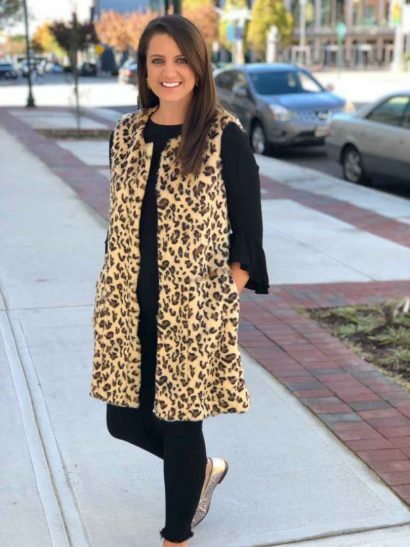 This Crosby leopard vest can be worn two ways – with a black sweater and jeans OR zip it up and wear it as a dress! Making things easy for yourself and eating out this Thanksgiving? Well, you never know who you might run into! 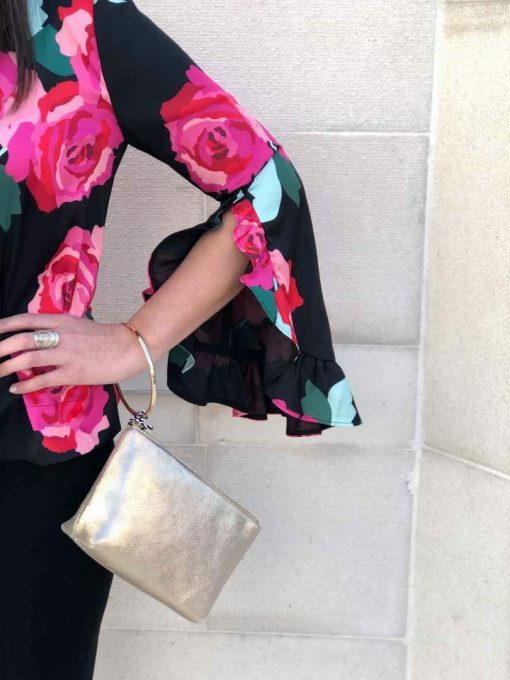 Keep it chic and casual with this Crosby rose print top and the Thacker Metallic Handbag. Don’t have enough time to snag these looks before Thanksgiving? Stop by on Black Friday and enjoy 25% off your entire purchase! Don’t wait too long though… these favorites are sure to sell out soon!